Sergei has a strong background in fluid mechanics with the particular focus on modeling multiphase and particle-laden flows. He received his MSc and Candidate of Sciences degrees at Lomonosov Moscow State University (MSU), Faculty of Mechanics and Mathematics, in 2005 and 2008 respectively. 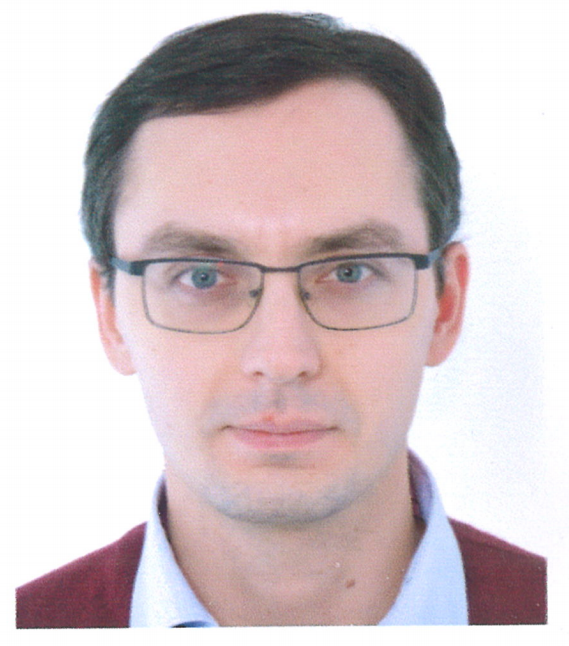 In 2002-2012, while working at the Laboratory of Multiphase Fluid Mechanics of the MSU Institute of Mechanics, Sergei led the theoretical study of hydrodynamic stability of shear particle-laden flows. In 2006-2011, Sergei carried out applied research activities in multiphase fluid mechanics at the Schlumberger Moscow Research as a part-time scientific consultant. In 2011, Sergei has joined University of Brighton in UK as a Research Fellow where he led the theoretical study of hydrodynamic instability and break-up of multiphase jets for 9 months. From mid-2012 to the end of 2016, Sergei was a full-time Senior Research Scientist with Schlumberger Moscow Research, carrying out mathematical modelling of multiphase particle-laden flows during hydraulic fracturing and fracture flowback. Sergei led, or contributed to, at least 8 academic research projects under governmental grants and 8 applied research projects in Schlumberger. He is the author of over 65 publications including 18 papers in top international and Russian peer-reviewed fluid mechanics journals. He is also an author of 4 patents. Fines transport in porous media with associated dynamics of permeability due to particle trapping and mobilization. Garagash, I. A., Osiptsov, A. A., Boronin, S. A. (2019). Dynamic bridging of proppant particles in a hydraulic fracture. International Journal of Engineering Science, 135, 86-101. Boronin, S. A. and Osiptsov, A. N. (2018) Effect of settling particles on the stability of a particle-laden flow in a vertical plane channel. Physics of Fluids 30(3), 034102. Osiptsov, A.A., Boronin, S.A., Zilonova, E.M., Desroches, J. (2018) Managed Saffman-Taylor Instability During Overflush in Hydraulic Fracturing. Journal of Petroleum Science and Engineering 162, 513-523. Boronin, S. A., and Osiptsov, A. N. (2016). Nonmodal instability of a stratified plane-channel suspension flow with fine particles. Physical Review E, 93(3), 033107. Boronin, S. A., Osiptsov, A. A. and Desroches, J. (2015). Displacement of yield-stress fluids in a fracture. Intl. J. Multiphase Flow, 76, 47–63. Boronin, S. A., Healey, J. J. and Sazhin, S. S. (2013). Non-modal stability of round viscous jets. J. Fluid Mech., 716, 96–119. The 2-nd degree Diploma for the study “Stability of plane-parallel flows of a dusty gas”, Conference-competition for young scientists, Institute of mechanics, MSU, October, 2005. The 3-rd degree Diploma for the study “Hydrodynamic stability of two-phase flows with a finite volume fraction of inclusions”, Conference-competition for young scientists, Institute of mechanics, MSU, October, 2007. Lomonosov Moscow State University Scholarship for talented young scientists (2009) for the study “Development of the hydrodynamic stability theory for dispersed flows”. Awarded by grant for the support of talented students, post-docs and young scientists of Lomonosov Moscow State University in 2009. Leader of the project “Problems of stability and development of local structures in dispersed flows” (Russian Federation Presidential Grant for young Ph.D. researchers 2009-2010, МК-622.2009.1). The 2-nd degree Diploma for the study “Optimal disturbances to dusty-gas boundary-layer flow with a non-uniform particle distribution”, Conference-competition for young scientists, Institute of mechanics, MSU, October, 2012. Diploma for the best oral presentation “Non-modal stability of dispersed flows” [in Russian] at “Fluid Mechanics” section of XI All-Russia congress on fundamental problems in theoretical and applied mechanics, August 20-24 2015, Kazan’.